I am a US Air Force Gulf War Veteran and full time Real Estate Professional since 2001. I am dedicated to helping you make the right decisions in Real Estate. After my Air Force career, I entered into the field of Real Estate and immediately began helping people with those decisions and helping them protect and further their interests. I have been fortunate enough to have hundreds of transactions under my belt and have been a Top Producing Realtor throughout most of my career. 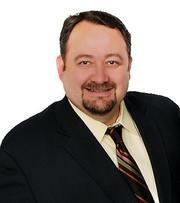 I specialize in residential home sales and buyer representation in Anchorage, Eagle River, and the Mat-Su Valley. This experience has given me a vast amount of technical and practical knowledge along the way and this greatly benefits my clients and friends. I have the answers to those, “What if this happens or what if that happens, Jay?” questions.